Your complete source for modern classic automobiles. 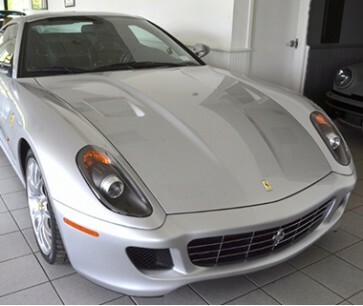 We don’t just specialize in vintage and classic automobiles, we offer a wealth of services for those who are interested in today’s modern classics such as: Mercedes, BMW, Porsche, Aston Martin, Ferrari, Maserati Jaguar and more. Take a look at our modern classics for sale, our inventory constantly changes, so visit us often to keep up to date. If you have any questions about a purchase, please do not hesitate to call. Modern classic service and repair. Check engine light: we have a complete suite of diagnostic equipment that will determine the problem so we can fix it quickly and efficiently. Routine maintenance: from oil changes to transmission repair, tune ups and beyond we have you covered. 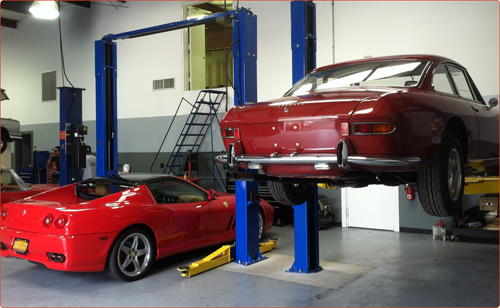 Bodywork and collision repair: you can trust the body work experts at Aventura to bring your modern classic automobile back to showroom condition. We use only genuine factory parts and paints. Correct high level multi process paintwork: Looking to freshen your car’s paint or even change your car’s color? We can paint your modern classic any color you can dream of. Free pickup and delivery is available at request. Call us today at 631-283-8819.